Melding the old classic with a new twist, the LED Nite Sparx™ Plus acts like a sparkler, but without all the smoke and flame so you can bring it into the party. Featuring LED lighs mounted on both sides, the Champagne Nightclub Sparkler is bright enough to make your table stand out in the crowd. It is particularly developed for nightclub use; just place your champagne bottle with LED Nightclub sparklers in the middle of your table and let it light up your night. And when the bottle is empty, no need to chase a waiter down. 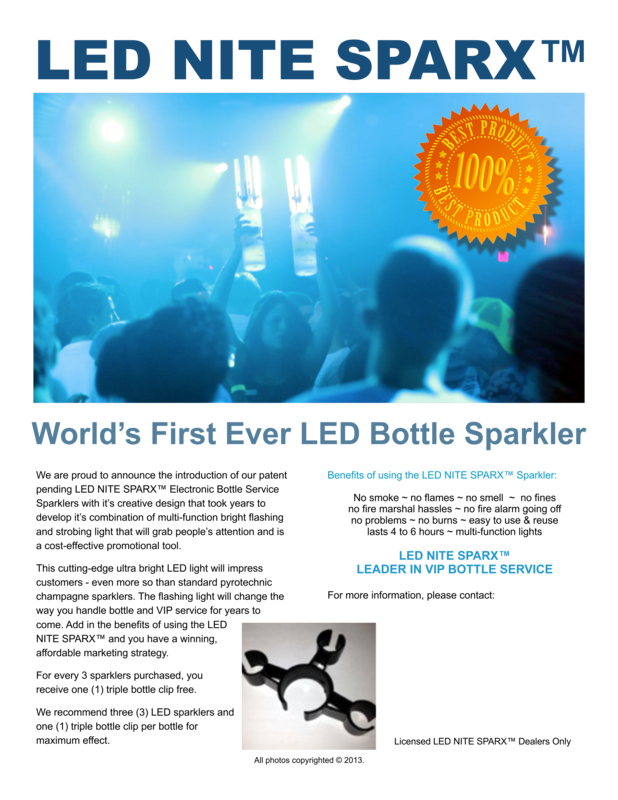 Let the bartender know with a flash of the LED Nite Sparx™ Plus. LED Nite Sparx™ Plus features a new sleek design and a stronger casing than the original, and comes in brilliant white or limited edition red. The spark lasts 4-6 hours, much longer than the traditional sparkler, so let the party go on! 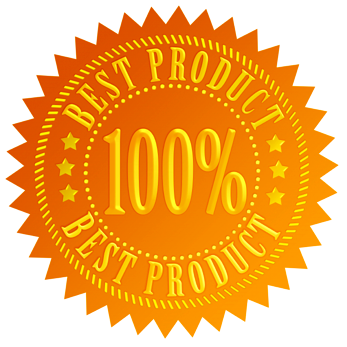 Available in bulk orders saving you even more money! Be sure to check out our bulk order pricing above. Click the button below to add the LED Nite Sparx™ Plus - Champagne Nightclub Sparkler to your wish list.